Here's a rather shocking news saying that Justin Bieber is a fake 51-year old posing as 16-year-old child. 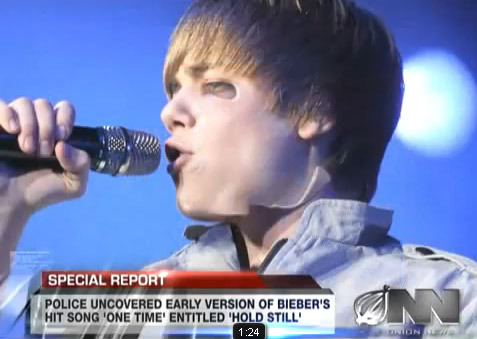 Early discovery of the true identity whose real name is Justin Bieber Michael Cote is now 51-year-old had started when she was wearing the mask off during the middle of doing a concert. Other newspapers also mentioned that the boy who is now idolized by the youth of the world are doing the public lies by wearing a rubber mask and wig. Hmmm, I wonder how valid this news is? Do you believe this? Click the image below to see the movie news.